As companies move their most important business applications to the Cloud, traditional site-to-site architectures are giving way to site-to-cloud. That means giving businesses reliable, resilient internet connectivity to and from all of their cloud services over any commodity broadband connections. Our unique network architecture and SD-WAN technology optimizes application performance across multiple ISP connections giving you the site-to-cloud architecture your business needs to keep your business running and your users happy. 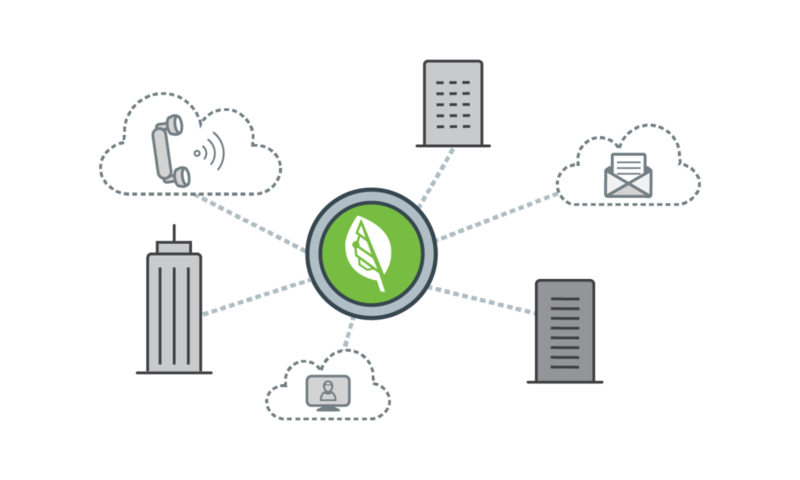 Whether you have one site or a thousand, Bigleaf combines a simple on-site installation, intelligent hands-off operations, and redundancy at every level to turn commodity broadband connections into a worry-free, Enterprise-grade connection to your applications. 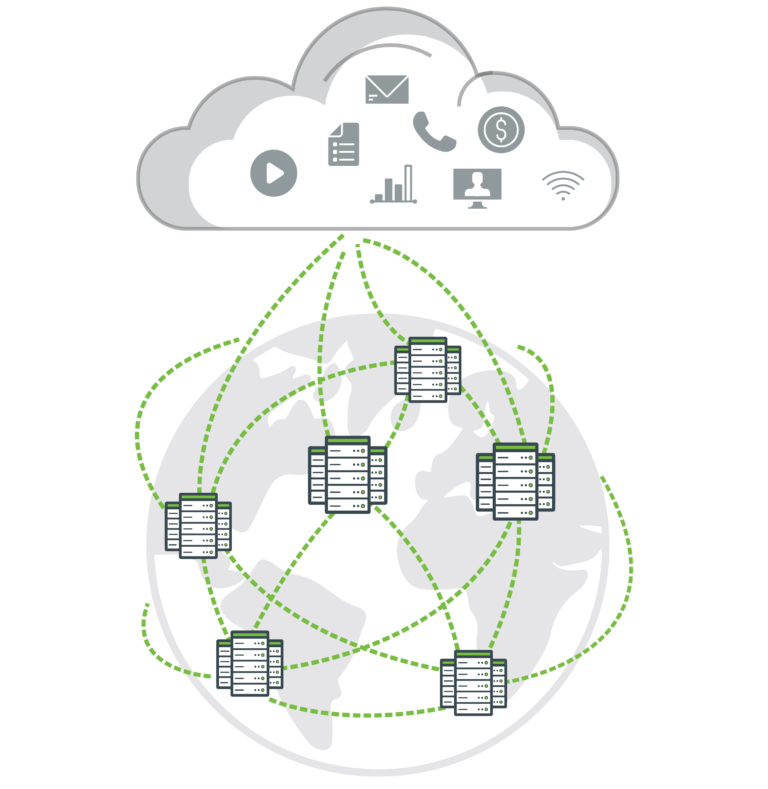 Bigleaf’s Cloud-Access Network is a purpose-built IP network that we own and operate. Our carrier-grade routers and dedicated servers connect to multiple upstream transit circuits and diverse dedicated private backbone paths. All of our Points of Presence, or “POPs” are built into major internet peering centers, or “hubs”, providing the best possible connectivity. This platform is built specifically to deliver our SD-WAN service, so it doesn’t suffer from the compromises in network architecture and management required of other networks. For example, telecom networks also run MPLS, which adds complexity and more risk of bugs and outages; and content based networks are optimized for serving high-volume data in one direction rather than business-critical applications like VoIP. Bigleaf’s edge router connects your business to our Cloud Access Network over between 1-4 internet circuits. The edge router installs quickly and transparently to your network, allowing you to add Bigleaf to new or existing business locations without any changes to your existing security or network policies. Bigleaf offers both a warm spare option and a high-availability option to provide increased redundancy for your deployment. We provide an option for a High-Availability on-site router setup that includes redundant routers and switches to ensure that no single piece of equipment can cause a failure of your Bigleaf service. Bigleaf’s SD-WAN is built on intelligent, autonomous software that can detect and correct issues in your network without any need for manual policies or configuration. Experience a seamless connection with our Intelligent Load Balancing, Dynamic QoS, and Same IP Failover–with zero manual configurations required. For truly reliable Internet connectivity you need redundancy. We provide redundancy in a way that’s easy to set up and gives you peace of mind. Our gateway cluster infrastructure has hot-standby N 1 architecture implemented at all levels for maximum uptime, and having 2 or more last-mile Internet connections gives you diversity all the way to your building. We also offer a high-availability on-site router option if you need the ultimate in redundancy. Request a demo and we'll get a on a call with you.